Carlos Duncan of Houston, Texas serves as the seventh Chairman of the IGFA Board of Trustees. A Trustee since 2009, he previously served as IGFA Treasurer and is President of Duncan Capital--a private investment management firm. Duncan received his B.A. degree in Economics from the University of Virginia, then earned an M.B.A. from the Harvard Business School in 1986. 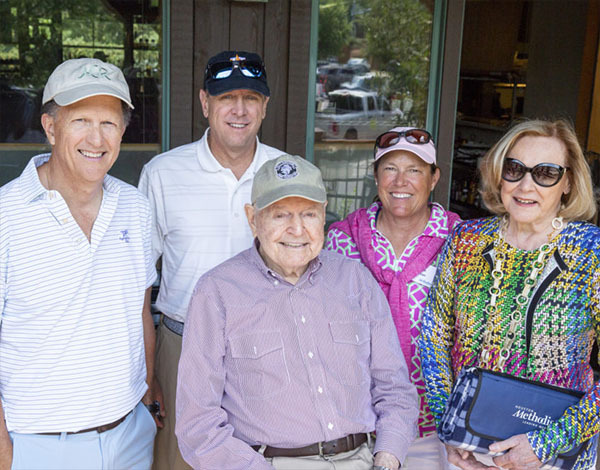 Duncan and wife Leslie enjoy spending time at the family's TE Ranch in Wyoming--formerly owned by Buffalo Bill Cody--where, at age 12, Duncan learned the thrill of fly fishing--a passion that continues today. Family vacations to Islamorada, Florida gave Duncan the opportunity to learn the tricks of saltwater angling from greats such as Carl Navarre, Sr., Billy Knowles, Cecil Keith, Bill Curtis, and Hal Chittum. In 1995, Flip Pallot introduced Duncan to famed tarpon master Rob Fordyce who became Duncan's friend, guide, and tarpon fishing mentor. They have fished together in many inshore tournaments and won several-- including the Don Hawley and Golden Fly tarpon tournaments. Leslie is a two-time winner of the Women's Tarpon Fly Tournament. Duncan, an ardent conservationist, is active with various education and conservation non-profits in the Houston area, including longtime service on the board of the College Foundation of the University of Virginia, Communities in Schools of Houston, and the CCA Texas Foundation.